Oh and BTW, there is a great calculator that is a sticky on this aerodynamics forum so you can see how much better .18 Cd is compared to .34 or how much better 30 sq ft is than 80 sq ft, or 4000 pounds is than 10,000 pounds all at different speeds. Great post, and yes if it costs you $5,000 to build your dream trailer from scratch and takes you five years to do it, that fixer-upper is extremely attractive in more than one way. A $4,000 difference is a lot of gas money in your pocket - just saying. Good reminder, I forgot about that. That Viper project is crazy cool! What happened to your HiLo? If I went pop up style I would probably get a used Trail Manor unit which is a brilliant design in its own way as it definitely gives the small frontal area with a pretty healthy interior space. I think if I had more confidence in my capacity to reproduce the lift mechanism and slideouts, I might give it a go. Thanks for pointing out that sticky. I will check it out for sure. Trail Manor ........... lift mechanism and slideouts, I might give it a go. That is a brilliant design. An older design I was playing with had a 2-foot high base that an aerocap lifted up from. Now the TrailManor gets into my head and I question rethinking it all. My latest design sketch relies on a simplification; a piano hinge and gas springs mid-roof pop up verses the complexity of telescoping an entire cap. The TrailManor seems just a little beyond a home-build concept with the engineering involved, but not by much if you can live with some potential leakage. That Gif helps, at first I thought it went straight up and then slid horizontally, not so with the scissors mechanism. Pivot is simple: 2 parallel rods of what ever height is needed set up as a parallel ogram on each side. The swing is a very flat upside down "U" and ending point is the same height as the start. The length of the rods determines the horizontal offset and incidentally the apogee of the swing. Like a swing out shelf on a fishing tackle box. I found an update, as I had not looked past the Spitfire example. Not FAA approved I assume, but it's going to make a great parade float or something like that. 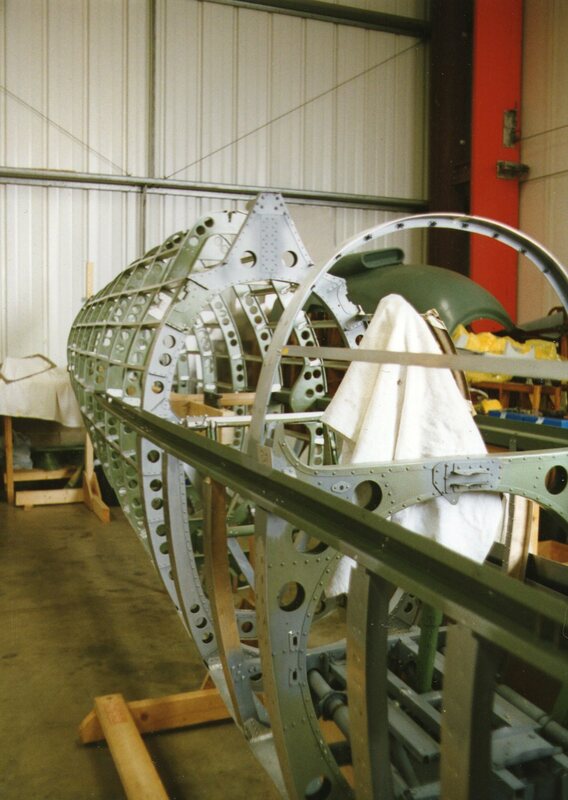 Once the bottom latches are released, torsion springs help lift the front section into position. Repeat the process for the rear section, then pull the king-size bed into place from underneath. After the door and frame are assembled, a conveniently located switch just inside deploys the front slideout. Exterior foot stirrups assist with the closing procedure. I'm wondering if TrailManor has gone though several generations of improvements over the years, or if they all work exactly the same. Because the TrailManor’s top halves close over the bottom half, there has to be a way to create a seal from the weather once the trailer is fully open and the halves no longer overlap. TrailManor’s solution is to fit the trailer with insulated flaps that fasten with hook-and-loop material. Leave the flaps unfastened, and the breeze is free to circulate throughout the trailer. In this way, TrailManor has effectively provided users with a way to enjoy the most positive aspect of tent-trailer camping — without the cloth walls. Last edited by kach22i; 04-02-2019 at 10:44 AM.. The interior finish-out is the killer. Where mistakes can’t be fixed. This was a FULL-TIME staff design position. brands of travel trailers out there. Too many have been gutted due to owner stupidity (no other word for it). The classic era of 1960-1990 features space utilization that won’t be matched. The aero problems are solved. For a likely lower cost for a decent shell-on-frame than the materials alone working from scratch. Be willing to travel. Airstream was the entry level bargain brand. But sells used for too high a price compared to other brands. And wasn’t as well made. This route would put you years ahead. You don’t need a pickup or van to tow unless that’s best for solo use in your case. But an empty bed makes a lie of “need”. Family car with small open trailer can carry more than a one ton pickup. Pickups and RWD vans are inherently unstable. Last edited by slowmover; 04-02-2019 at 03:29 PM.. I know, I know - I have thought about that a lot. It all seems so simple and I guess, really it is except that there are so many other factors like sealing it all while traveling and while it is in position. How to do the bottom slideouts on each end and then seal and support those in alignment with the lifted units etc. Part of me would love to take on the challenge just for the fun of it and part of me wonders how much I would regret it, haha. My guess, from what I have read is that there probably is no more fuel efficient design than some kind of pop up so this keeps coming back to me. And then of course there is also the alternative to just buy a used one but that would be way less fun, grin. Either way, it is fun to ponder and I do appreciate the encouragement.